Spectacular (though grey!) 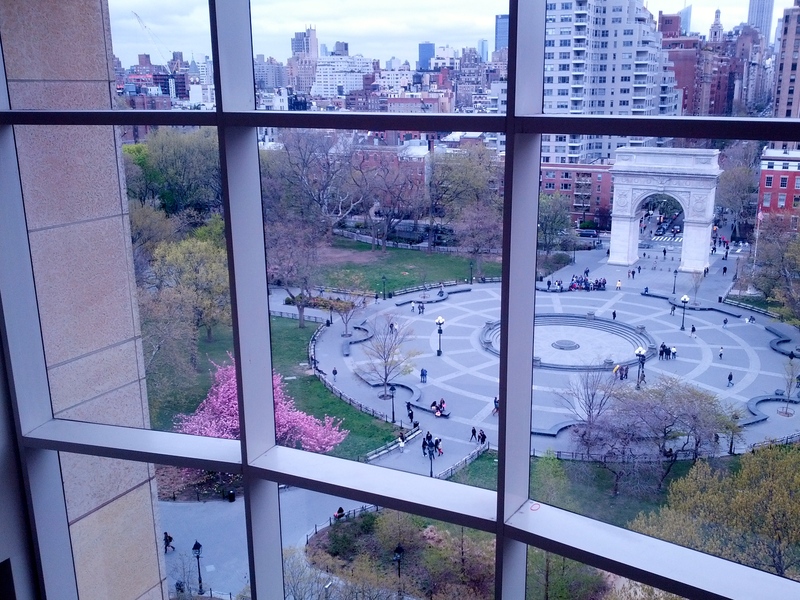 view of Washington Square Park from the eighth floor of NYU’s Kimmel Student Center. 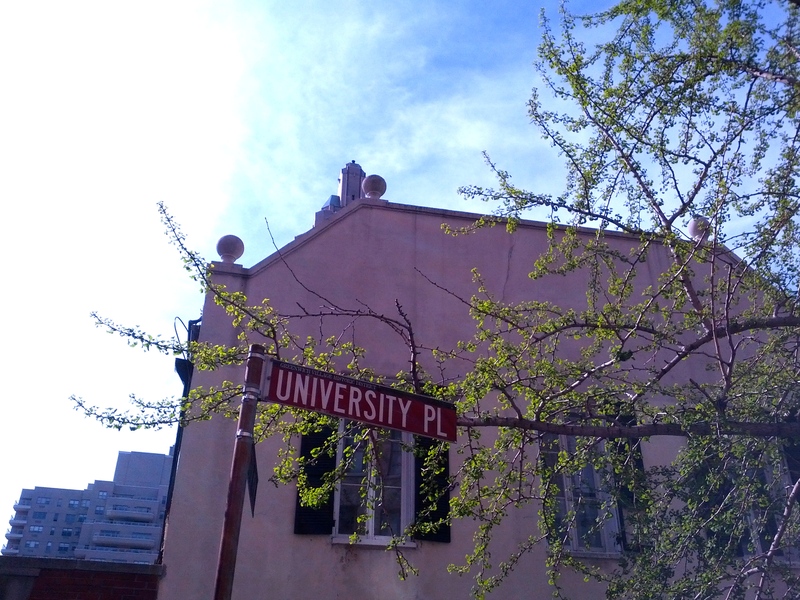 Fresh spring green leaves on this tree that’s a friend of this “University Place” sign; see its transitions over this past year here and here and … here! 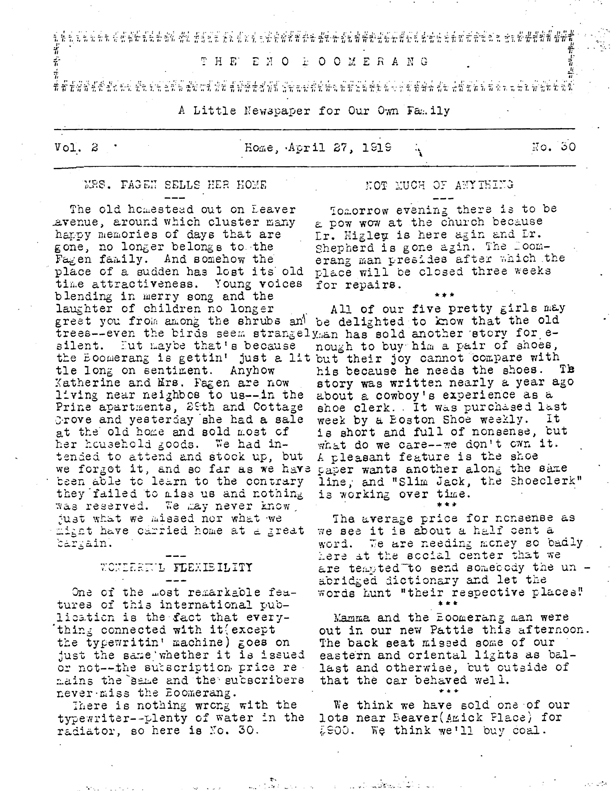 More intriguing allusions in this issue of the original Boomerang to Fred Eno’s life as a creative writer … to be commented upon further, anon! 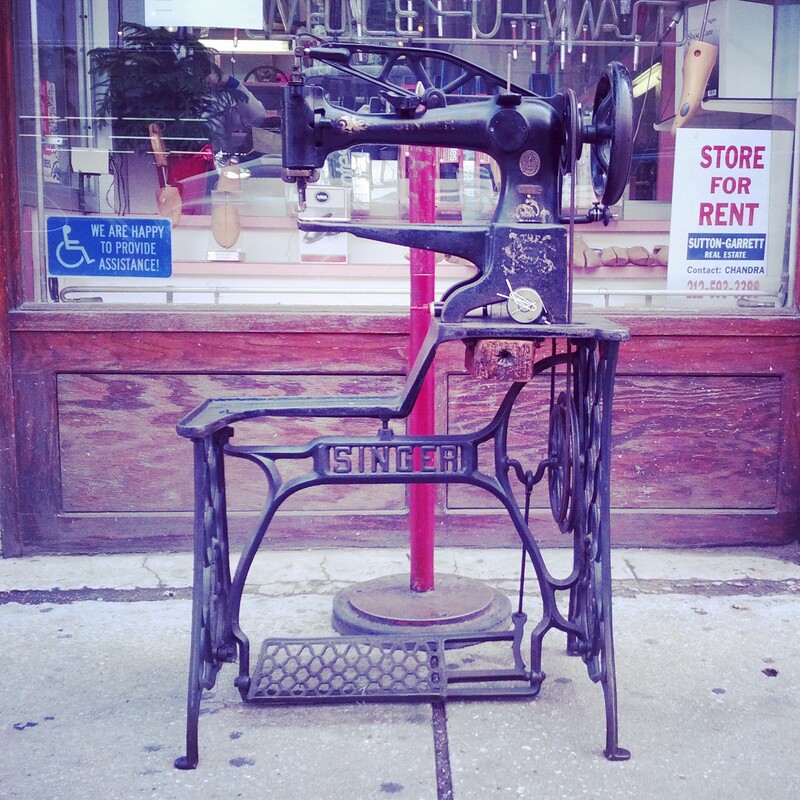 This Singer treadle sewing machine was sighted this morning in front of a shoe repair shop that seems to be closing (alack and alas!) 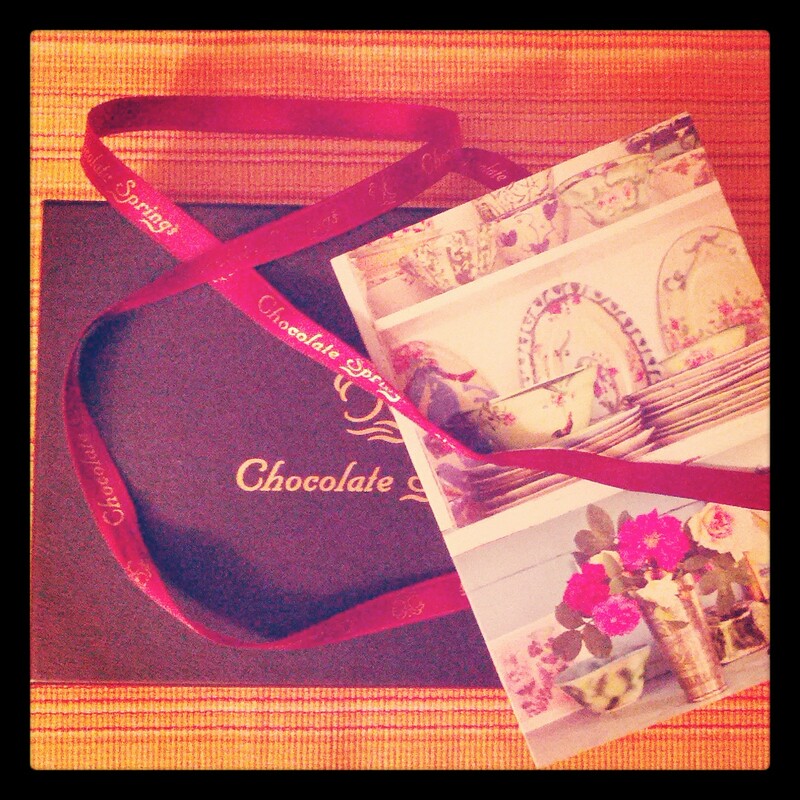 … maybe this Singer will find a good new home, though!? 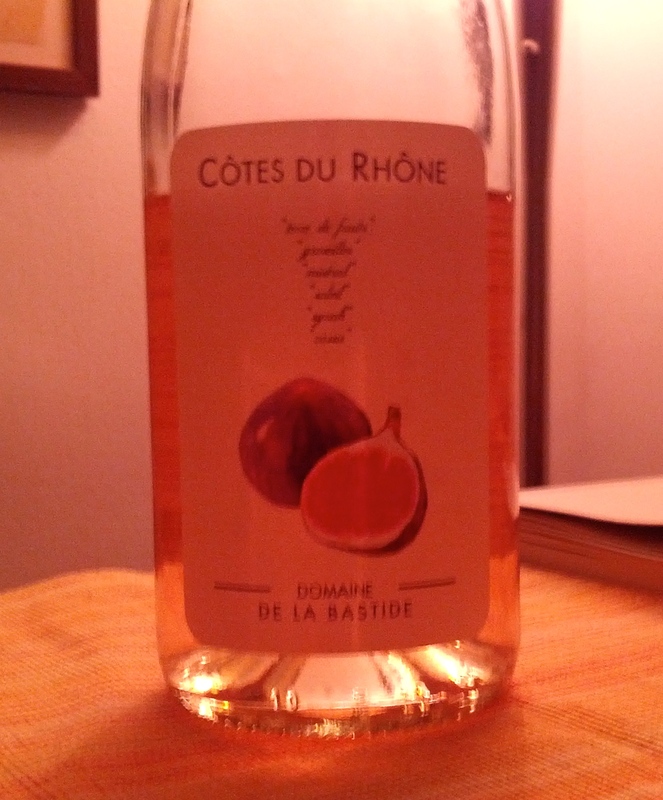 Cotes du Rhone, Domaine de la Bastide 2013 … according to these folks here, the taste of the 2011 is “currant, blueberry, blackberry, strawberry, black currant, dust, leather, cherry, raspberry, licorice, and anise” and the “nose” is “spice box, cedar, dark fruit, vanilla, toast, smoke, tobacco, red fruit, violet, rose petal, oak, and mushroom”; I say that the 2013 is also very good! Reasonably priced too! 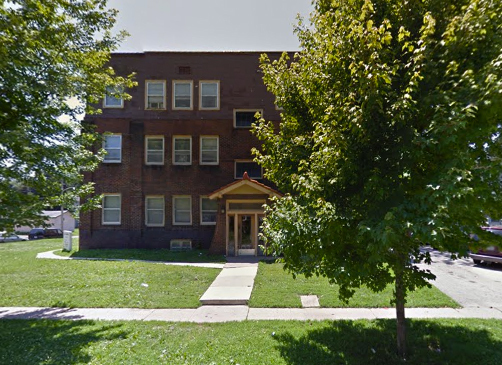 Gem of a building . . . plus dogwood! 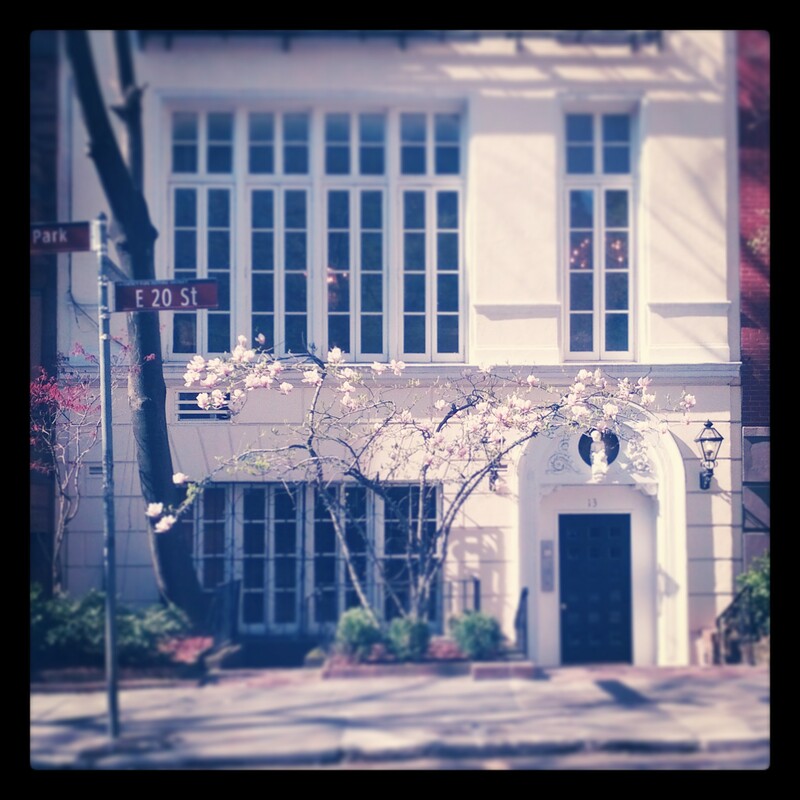 Jewel box townhouse on the corner of Gramercy Park … with a blooming arching dogwood to match its arched doorway!